The board for former Green Wave players and coaches. LIke I said glad the days of excuse making are over. No more intentional dumbing down of the recruiting and no more dumbing down of the staff by choice. We have a good staff and the HC just said unprompted that he appreciated Tulane living up to all of its promises. You three can keep hoping he leaves to prove your point but he didn't go to Baylor and it looks like he'll be here for the long haul. If not we'll have another excellent slate of candidates to choose from as the program will be back in the spotlight. As for getting back where we were we were mostly a Regional making program. It is unfortunate that we didn't take better advantage of our opportunities when a whole lot less schools were trying in this sport. That's what makes it tougher now. Just look at LSU they'll never roll out those kind of NC's numbers again. Quit being bitter and get on board. It's going to be a fun ride. Yet no on from this alleged third best conference made it to round of 16.Perhaps ratings should be redone after postseason flop.How's our recruiting going?Top 25? Your beloved CUSA never finished better than 5th . It had many years where no one advanced. There were three new coaches in the league trying to rebuild programs and all three had there teams in the postseason. It's going to be one hell of a league. Looks like you'll be bitter for a long , long time. Waverunner wrote: Yet no on from this alleged third best conference made it to round of 16.Perhaps ratings should be redone after postseason flop.How's our recruiting going?Top 25? Sunbelt's ULL beat our AAC champ on the road. The AAC was not the third best league. That was proved out in post season. 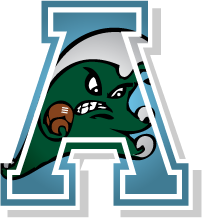 AAC 3-8 in NCAA's,with one win over perennial powerhouse Lehigh.In history of teams currently in league,there's been only one team to make an appearance in Omaha,Tulane twice.If it was so easy to do,when nobody else cared,why did no one else do it before Jones at Tulane?Pardon me,Winwave,but I do believe your personal vendetta against RJ is showing. It was the third best conference all season and it finished there. You two bitter souls can deny it all you want but that's your problem. At least we didn't lose to Harvard. Lik most here I'm just happy we finally moved on . Even happier the program is on the right track. Too bad you are missing out. Congrats to King! In only his second year at USF Kingston delivers the 6th ranked recruiting class in the nation. The only non P5 school in the top 15 and higher than LSU. Tulane finishes 87th. One can do that at a Florida public school with a low cost of tuition. No offense to Kingston, but most Florida schools recruit this way every year. Some of it has to do with being a big recruiting hot bed. The other theory is these kids have more exposure as Perfect Game is based nearby. With the current ncaa baseball schollie rules/limitations, private schools (in baseball) are restricted to "loading up" every two/three years...unless they have unlimited funds or an endowment fund FOR baseball (Vanderbilt). 2013 was our big class and 2016 will be the next one. High tuition schools will never have a year in, year out so called "top recruiting class!" That's why it's so important, at Tulane,to hit on the kids you do sign! VerdeGeaux wrote: One can do that at a Florida public school with a low cost of tuition. No offense to Kingston, but most Florida schools recruit this way every year. Some of it has to do with being a big recruiting hot bed. The other theory is these kids have more exposure as Perfect Game is based nearby. With the current ncaa baseball schollie rules/limitations, private schools (in baseball) are restricted to "loading up" every two/three years...unless they have unlimited funds or an endowment fund FOR baseball (Vanderbilt). 2013 was our big class and 2016 will be the next one. High tuition schools will never have a year in, year out so called "top recruiting class!" Yes if you're a good coach. Not once did USF ever make the top 25 in baseball recruiting. Go back to that link and check the previous year's. One of the top baseball jobs in the country. SC's baseball facilities were ranked 3rd best in the country. The Rick Jones tree continues to advance. Matt Riser next to advance. Man we owned him. Hate to see him leave the conference. As recruiting coordinator at Tulane, the coach known as “King” helped keep a string of NCAA appearances going despite the Green Wave relocating to Texas Tech for a semester due to Hurricane Katrina. Congrats to King. He leads SC to a Regional Championship in his first year. They travel to Ark for the Super. SC wins today to tie the series 1-1 winner tomorrow in game 3 goes to Omaha. Not sure why MK is not getting any love here for his success. 7 years at TU and 2005 CWS appearance. SC In a Super with Arkansas. Way to go Mark.! Another RJ protege. King falls a game short as Ark takes game three 14-4 and advances to Omaha. SC had a tough draw at Arkansas.